The challenge today was to draw something that reminds you of your mom. I drew this ring that I wear almost all the time and belonged to my mom. 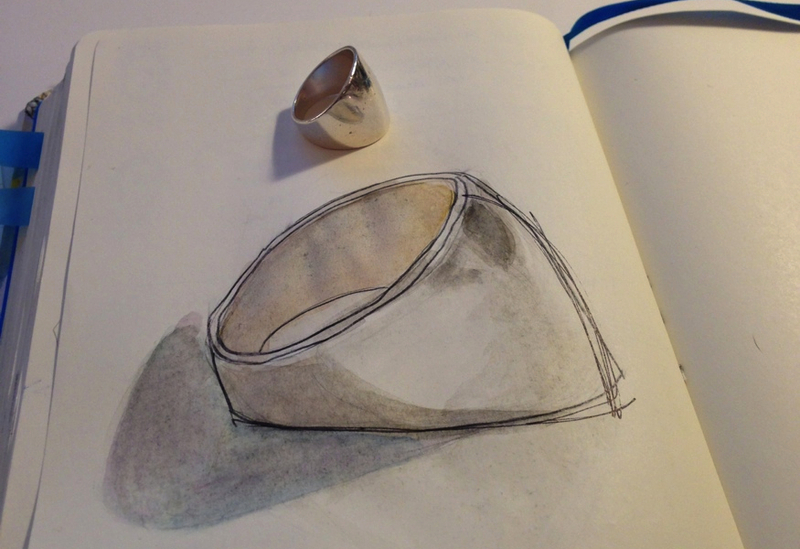 The ring is simple and yet complicated to draw at the same time because of it's odd angle. I love its simple lines, it's very modern.